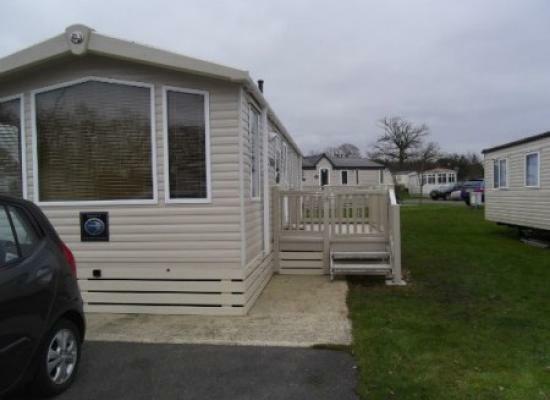 Brand New large Caravan hire with 3 bedrooms. Wonderful family friendly luxury Lodge, deep within England New Forest trees with a wide range of facilities for all ages. 10/10 reviews. Located in the best location (cul de sac) within the park. This caravan is very modern with all the home comforts. Very convenient for the Clubhouse and all its facilities. Fantastic local walks in Hurn Forest, ideal for dogs as pets are welcome in our caravan. Clubhouse passes are not included. Our park home is situated in a no through road with an outlook onto fields and trees, there are no homes in front to spoil the view. Relax on the sunny decking area before you take a short walk to the centre which has all facilities you could need. 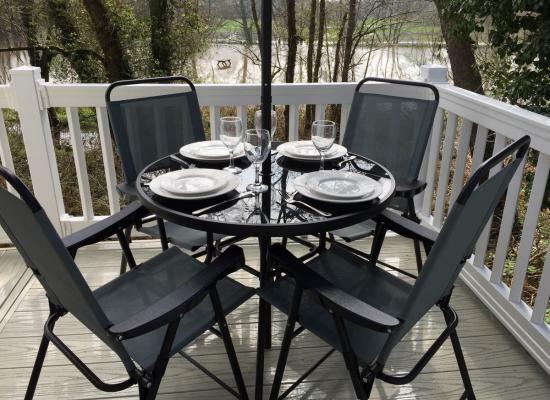 Situated in a quiet cul de sac, yet close to all amenities, bordering the newforest, and just a short drive to the Jurassic Coast line with gorgeous sandy beaches, Oakdene Forest Park is an idyllic location for any holiday maker. 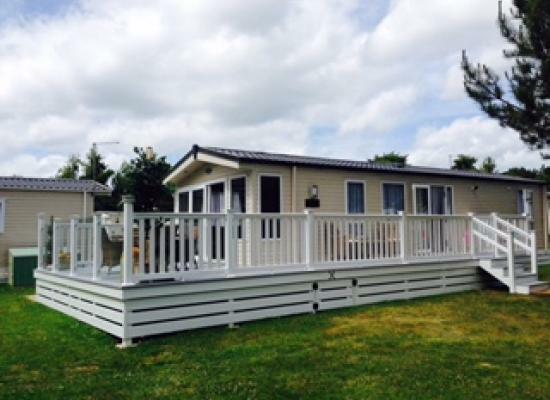 Oakdene Forest has facilities on-site for a happy and relaxing caravan holiday. Situated close to the forest which means there are plenty of lovely woodland walks nearby. 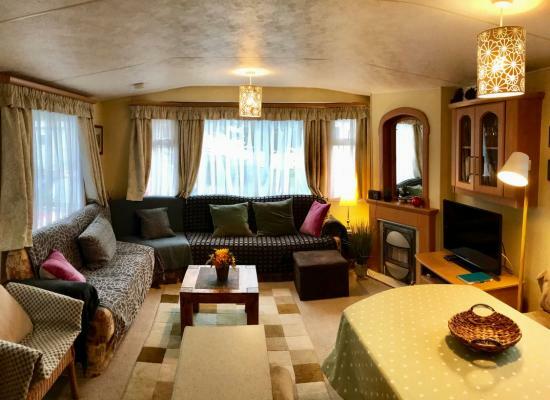 You can have a romantic, peaceful and relaxing holiday with your partner or bring the kids along for a great family caravan holiday at Oakdene Forest. Its a great holidays park for families and especially the children. There is sometimes special activities put on around Halloween, Christmas, Easter, etc. 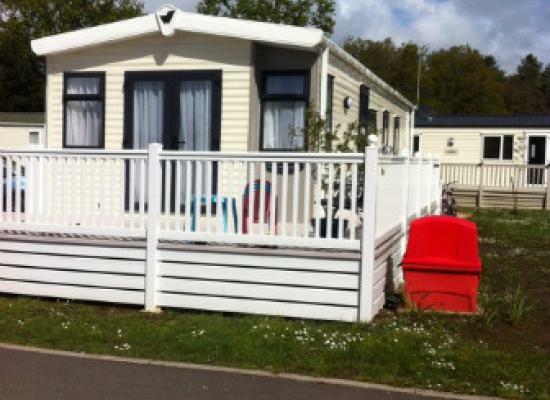 With the New Forest only 10 mins drive away and Bournemouth with its beach and amenities only 9 miles away Oakdene Forest Holiday Park is a great choice.